The border Police Force detained Friday for questioning the CEO of Breaking the Silence, Avner Gvaryahu, and two additional activists of the left-wing NGO— Ahiya Schatz and Michael Sfard—after they arrived at the settlement of Mitzpe Yair in the Mount Hebron area of the West Bank. Gvaryahu, Schatz and Sfard were released shortly afterwards and are expected to give their testimony on the incident next week. A Breaking the Silence bus arrived to the area to protest against the attack of the four activists from the Left-wing Ta’ayush NGO who were wounded Saturday in Mitzpe Yair. 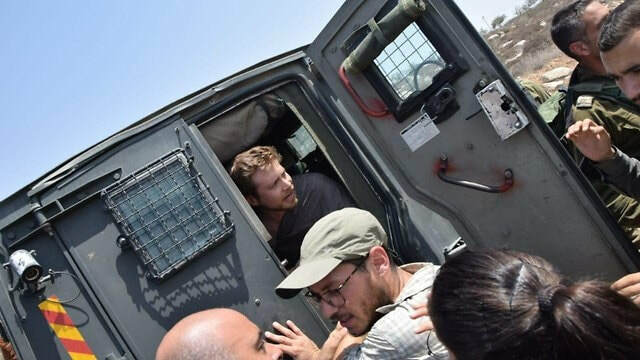 After the activists encountered an IDF force that had closed the area under a special order, a confrontation erupted between them and the Border Police and IDF soldiers, resulting in Gvaryahu and the two activists being taken for questioning. According to the West Bank police, the three were detained after violating a legal order. 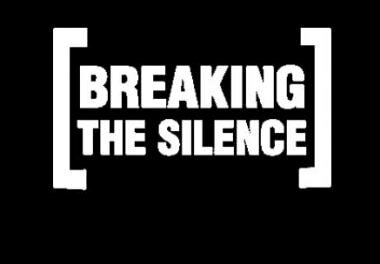 Breaking the Silence issued a statement saying, "The detention of the organization's CEO Avner Gvaryahu, Ahiya Schatz and attorney Michael Sfard during an educational tour in southern Mount Hebron should worry all of Israel's citizens who value democracy. "The Hebron brigade commander has given an incentive to the settlers who behave as bullies during an acquaintance and solidarity tour following last week's violent attack executed by settlers against the Ta’ayush NGO's activists," the NGO added. "This is yet another unfortunate proof that the military has become the servant of the settlers and that they are the true commanders in the field," the NGO's statement concluded. After his release, Gvaryahu said, "We are not going to give up and plan to tour southern Mount Hebron again soon. As opposed to the commander of the Hebron brigade who surrenders to the violence inflicted by settlers, we refuse to accept it." Schatz added that "The police detained us without any reason, and we will not be silent about that." "We'll not stop our tours and continue telling what we've been doing in the territories because this is our duty as soldiers who served there," Schatz went on to say. Knesset member Mossi Raz (Meretz) who also took part in the tour said, "We arrived today at the violent settlement of Mitzpe Yair to protest against the settlers' behavior and the weak conduct of the police and the IDF while facing them." "We witnessed how the army and the police follow their instructions detaining Breaking the Silence CEO and its two prominent activists," Raz elucidated. "What happened here today is a disgrace. We encourage the human rights activists who come here every Saturday and they have our respect," he asserted. "Someday the occupation will end," the MK concluded. 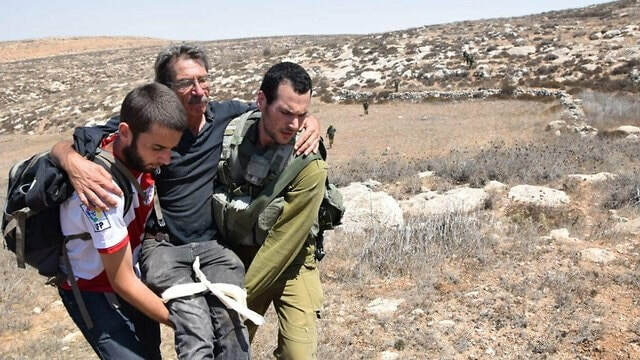 A group of Israeli settlers on Saturday attacked four Israeli left-wing activists from Ta'ayush NGO near the illegal Israeli settlement of Mitzpe Yair, in the southern occupied West Bank district of Hebron. YONATAN SHAPIRA: The first time I tried to break the blockade with a group of activists was 2010. About three months after what happened on the Mavi Marmara, where Israeli, the Israeli army shot and killed about 10 activists from Turkey, most of them. The helicopter that landed, the soldiers that killed and massacred people on the Mavi Marmara, were helicopters from the squadron I used to fly in, this Blackhawk squadron in the Israeli air force. And therefore I decided that I must participate in the second boat that will try to break the blockade. It happened in September 2010. We were very small, and we were intercepted by many warships, small and big. And if we were Palestinians or Turks I guess they would shoot us and kill us, maybe, but I got the better treatment of a Taser gun in my heart. So maybe they thought that they will resuscitate my Zionist behavior. My Zionist heart will start beating again. Unfortunately, it was Netanyahu and on a gun show on a gunpoint. We were stopped by the Greek coast guard just a few minutes after leaving the port of Priaeus, and we had to go back, and were detained by the, by the Greeks. And the third attempt was 2012, with the Ship to Gaza, the Swedish group that was with many international organizations, and the Finnish flagged boat. We had other Israelis on board. And we were also stopped about 40 miles from, from shore, from Gaza. This time it was a big operation. I guess they used it as a maneuver for training their forces, because they know that we are not posing any threat, like military threat, on them. So they were hundreds, maybe thousands of soldiers participating. About 15 warships, big and small. And also one Blackhawk helicopter that came in circled above us. And when I looked at it on the tail I could see that the number on the tail is 852, which is the same helicopter, tthe same piece of metal that I used to fly some years before. They again arrested us, tasered us, and took us to the Navy base of Ashdod, and we spent a few days arrested. 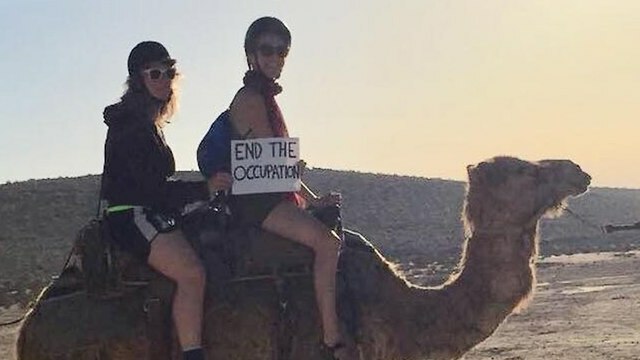 Five young Jewish American women staged a walkout Thursday on a trip organized by Taglit-Birthright Israel, claiming they did not receive real education about the "occupation," and instead joined a Breaking the Silence tour in Hebron. The five broadcast their departure live on Facebook. This is the first time Birthright participants walk out on the program. The five young women, who are affiliated with the extreme-left Jewish American organization IfNotNow, said they each separately joined the tour with Taglit-Birthright, an organization that brings thousands of Jewish youth from all over the world to Israel on free trips, trying to "engage deeply and honestly" with the tour guide and other participants. "We came with questions about what's happening in the occupied territories and wanted to engage with new perspectives," the five wrote in a joint statement. "But what became clear over the course of ten days was that Birthright did not want to truthfully engage with our questions. It's clear that young Jews who have critical questions about Israel are not welcome on Birthright." On Thursday, the trip's last day, the young women announced they decided to leave the group to go on a trip with Breaking the Silence "to learn about the occupation from the perspective of Palestinians and IDF soldiers." The group's Israeli tour guide, Golan, was upset by the walkout, and told the young women they had to sign a waiver as Birthright requires participants to remain with the group for the entire duration of the trip. "You came here with a clear agenda from the beginning. You did not come to learn about Israel, you came to learn about Palestine," the tour guide told them. "You don't have an open mind. You have a clear agenda against Israel." Other members of the group were enraged by the five's decision, accusing them of intentionally causing provocation. When the group arrived for a tour of the Tel Aviv Stock Exchange, Breaking the Silence activists, including spokesman Dean Issacharoff, were waiting for the five young women. "I think you did something incredibly brave. You refused to cooperate with the silence that is protecting the violent and immoral military regime that we're enforcing on millions of Palestinians," Issacharoff told them. "It's amazing. I'm sure you guys are the first. It's just indicative of the growing gap between your values and the occupation's values. And the fact that you're not willing to compromise on your Jewish values is amazing." On their Facebook page, IfNotNow praised the five women: "Wow. These Birthright participants just walked off their trip and onto a Breaking the Silence tour to Hebron. They are refusing to continue to engage in a biased Israel education that omits and obscures the Occupation, and are going to see and wrestle with the truth themselves. This is an inspiring, courageous, and brave act of resistance to the Occupation. This is why IfNotNow launched its #NotJustAFreeTrip campaign this week, because we can no longer allow a free trip that hides the truth about the Occupation be synonymous with being a young Jewish person in America." Sophie Lasoff, 24, one of the young women who walked out on the trip, said she and the other four "have been really disappointed on a number of occasions about the way that Birthright has completely erased the effects of the occupation or avoided our questions, or spun things in a way that we felt were extremely biased." "We came all the way across the world in order to see what they keep telling us is our homeland. And to me, grappling with what a homeland means to me, means grappling with it in all of its complexity, and they haven't allowed us to do that," she added. Issacharoff offered the following comment: “While the right-wing government is crushing Israel’s connection to the Diaspora Jewry, we are building new bridges based on values of equality and democracy. Anyone who thinks of demanding that millions of liberal Jews blindly support the occupation policy will wake up in panic when an entire generation of young Jews, who are unprepared to give up their values to cooperation with the concealment of the occupation in programs like Taglit, slam the door.